The hearth has for a long time been regarded as the heart of the home. Offering warmth, security and a place to cook. In fact, in recent years discoveries were made that suggested hearths were used some 300,000 years ago by an early human species. We often talk with customers (especially men) about how the thought of fire conjures up feelings of prehistoric life. We try to imagine hunting in the bleak wilderness, returning back to our tribe with our hard earned prize to then enjoying the warmth and comfort of the fire. Safe in the knowledge that with food, water, shelter and warmth survival is likely. Fortunately, today we have Netflix and central heating. In the 20th century our reliance on warmth from the hearth has dwindled. With the rise of central heating utilising gas and oil to heat our homes, the hearth for many became unnecessary. But yet even with the rise of the convenience, the fireplace still remained in many homes. 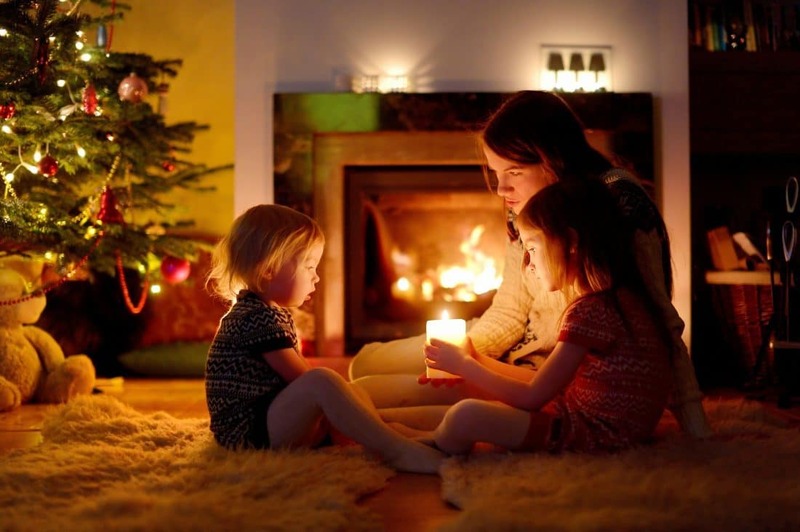 Regardless of what fuel source; be it electric, gas or solid fuel, virtually every home in the UK has some kind of fireplace. Why is that? Personally I believe it has roots in our ancestral primitive genes. We crave that reassurance of comfort from the hearth that we are safe and secure. Now yes an electric fire will not do the same as a glorious wood fire but people have told me that they will use even just the flame effect on electric fires and the sensation you get is a feeling of warmth from the visual. Now in the 21st Century with the rise of the internet, mobile phones, social media and online shopping, life is even more convenient and faster. But this is why I believe we have seen a resurgence in wood burning stoves in recent years and why there has been an openness to new ways of living such as Hygge and Lagom. We are feeling rushed of our feet and need grounding a little and what can do it better than a fireplace? We as a family will spend our autumn and winter Sunday’s outdoors watching our children play rugby or taking the dog for a walk but nothing excites us as much as talking about getting home putting on the fire and enjoying a hot chocolate. We spend much more time together in the same room compared to evenings in warmer months. As the nights get darker and colder the log fire does its job of keeping us warm, bringing us together and giving us that feeling of safety, all while I try my best to stop my wife from putting on the central heating! Whilst wood burning stoves are not for everybody, again it’s normally a convenience thing. Gas fires in the last 5 years have become particularly realistic and there are a lot of log effect gas stoves available now for those of us who want the ease of picking up a remote control and turning the fire on. One thing I particularly like about some of the gas fires is their flexibility when it comes to some installations. In some homes, it’s not that easy or convenient to install a wood stove and the gas fires really do come into their own in this space. In fact, we have a room at home we plan to install a Bellfire two-sided gas fire when we carry out some alterations. This was in part because of installation complications and also for design reasons. Still, for those of us that yearn that hunter-gatherer feeling, nothing can satisfy the feeling more than following the footsteps of our ancestors, fetching wood from the log pile, bringing it to our dwelling and camping by the hearth enjoying time either by yourself or with company.